Lurking beneath the authorities' radar is a vast, international underground movement that stretches from Africa and Europe to the Americas: guerrilla gardening, the un-permitted colonisation of land, is still a mysterious activity about which little research is undertaken. The movement brings together students, academics, businessmen, planners, architects, chefs, community workers and many more professions making up the ranks. Would-be guerrillas can enlist in a troop online through sites such as guerrillagardening.org; a forum established by Richard Reynolds (“Britain’s 24th most influential gardener”), deemed the father of the modern guerrilla gardening movement. The movement has grown in recent years, fuelled partially by the rise of Twitter and other forms of social media which make it much easier to organise digs. Generally speaking, guerrilla gardeners either aim to beautify a neglected patch of land or, increasingly, pursue the cultivation of space via urban agriculture by growing fruit and vegetables in a city context. A somewhat famous example of this is Incredible Edible Todmorden, a guerrilla gardening project started in 2008 where residents “adopt” areas of the town and plant without permission. Impressed by the displays and ideas, the local authority started to work with the guerrillas and the Incredible Edible Network was soon born – now an international movement promoting the idea of urban agriculture. 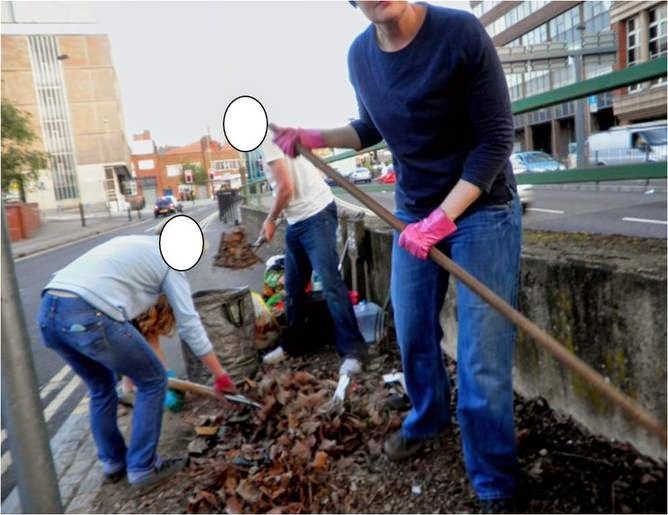 Between 2010 and 2013, I carried out an extensive ethnographic exploration of those guerrilla gardeners practising their form of urban agriculture in the Midlands, UK. After some searching (and lots of luck) I tracked down three groups eager to be involved in the study. The first was a group of local authority employees who named their collective, F Troop – a reference to the 1970s American Western TV show featuring cowboys gallivanting around without much of a plan. In this case, the troop realised this name reflected their practices, with members turning up to the dig site and planting randomly. The group occupied land next to an inner-city dual carriageway, planting nasturtiums, peas, spinach and other produce alongside the road’s barrier. Their core reason for pursuing such an activity was the thrill of transgression from messing with council land (their employer, no less). The second was an elderly lady who, angry with her local authority’s lack of effort to clean up nearby alleyways, took it upon herself to rid the space of junk. In its place she laid out raised beds in which to cultivate vegetables. 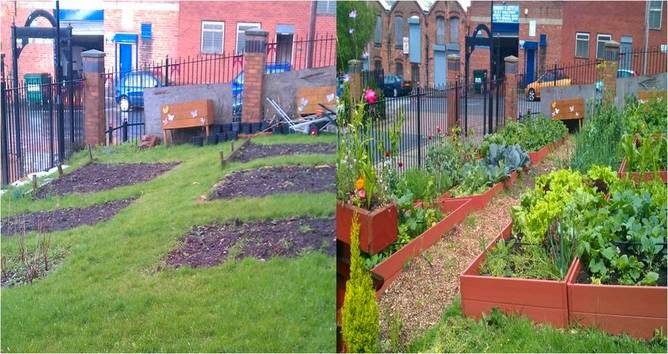 Finally, the third was group of women who occupied a large green space in a deprived area and convert it into a large community garden. Their motivation was to bring fresh produce closer to those who needed it, since the majority of those surrounding the site had poor diets. The women opted for the guerrilla route due to the perception that gaining official permission was too arduous and would only delay their activities. These three examples show the spectrum of those involved in guerrilla gardening: from the radical yet middle-class professionals of F Troop, to the group of more working-class women who adopted a large area for those around it, guerrillas come from different backgrounds and all have different reasons for pursuing their action. As a researcher, the ethics and practicalities of interacting with an activity that exists in a legally grey area were tricky, for instance, the cities in which the above guerrillas practised cannot be named in order to protect the identities of those involved. An extra dilemma was added by the fact that I was a member of the police Special Constabulary at the time. There has been rising interest in guerrilla gardening, but the majority of this portrays it in purely positive terms. There is very little in the way of criticism, despite the fact that guerrilla gardeners often colonise space not only without the permission of the local authority, but also without permission of those who reside nearby. Guerrilla gardening could even be occurring on your street corner or grass verge, perhaps even without you knowing. Interviews with those living close to the sites colonised by the gardeners revealed that not everyone was happy. Some were angry about not being involved, or perplexed as to the appeal of produce grown in such harsh roadside environments. Furthermore, the guerrilla gardeners, especially F Troop, would provide little maintenance of the site, which would soon fell into disrepair between digs. Guerrilla gardening can make significant changes to our landscapes: the case of Incredible Edible Todmorden demonstrates the potential of this activity. Many large urban agricultural initiatives have stemmed from underground gardening, such as New York’s community gardens or Havana’s allotments; Carrot City, an exhibition on urban agriculture, which I brought to the UK in 2012, features even more examples of projects which started through guerrilla gardening. Yet while guerrilla gardeners often improve spaces, there is a need to delve deeper and provide a more objective account of their actions; reflecting not only on what the gardeners do, but their impact on the area and the community as a whole.